This last Android M feature for today isn’t exactly a big one, but for tablet owners, it could come in handy depending on how you like to hold your big-screened device and tap out messages or emails. 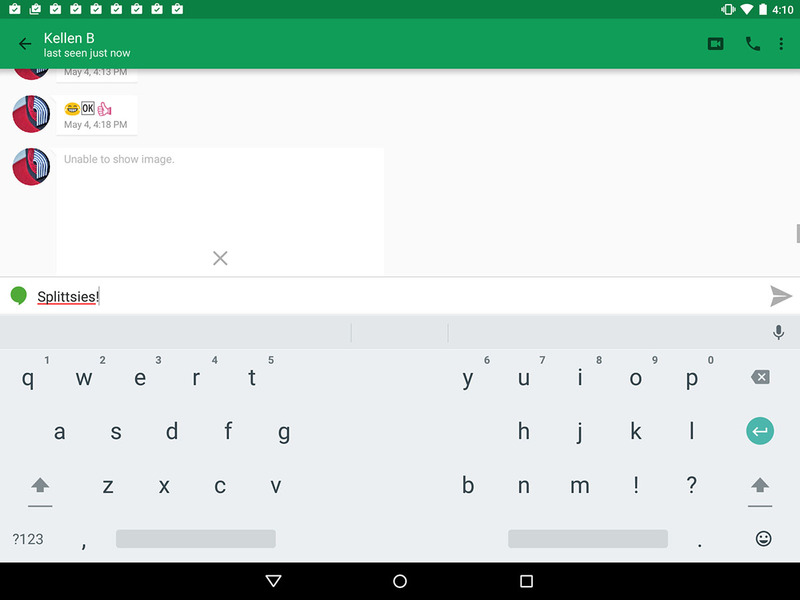 In Android M, Google appears to be ready to introduce a split keyboard. Split keyboards like this have been around for years from third party keyboard makers, but (as far as we can tell) this is the first time Google has done it with its own keyboard. To access the split keyboard, long-press on the comma, then swipe up into settings. 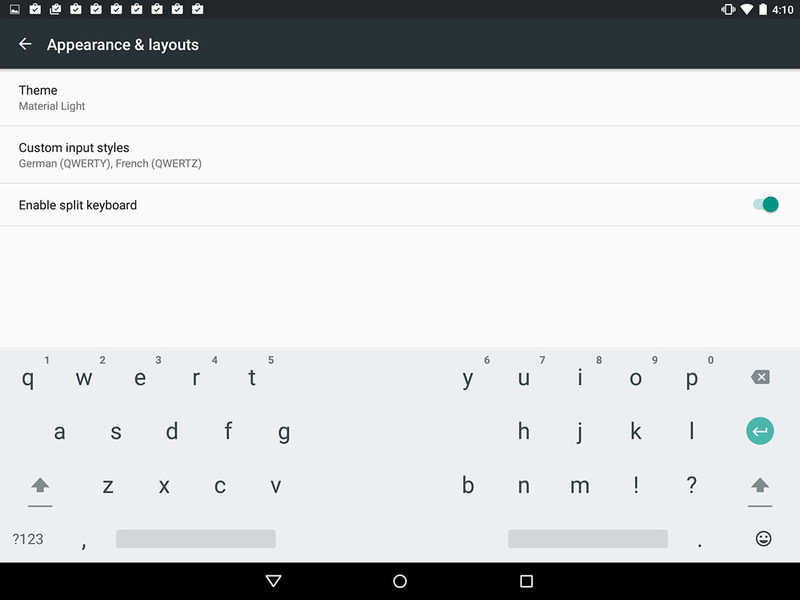 From there, choose “Google Keyboard settings,” Appearances & layouts, and then Enable split keyboard.